When you first look into distributing your music, you’re going to encounter some unfamiliar terms. 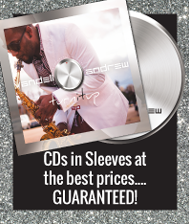 Two terms musicians regularly encounter are CD duplication and CD replication. What do these two terms mean? Is one process better than the other? Which should your band use? If you’ve “burned” a CD or playlist on your home computer, you have duplicated a CD. The duplication process involves a laser creating a chemical pattern in the internal layer of an existing compact disc. The pattern is later read by disc players and translated back into data. 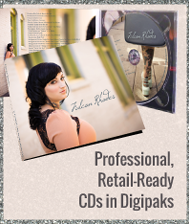 CD duplication requires a less-complicated production process than replication. This means that it’s usually a more cost-effective choice for small orders, and turnaround time is shorter, making it a great choice when time matters. CD duplication also lets you choose almost any quantity of discs to manufacture, allowing you to fit your needs exactly. Please note that not all CDs and CD burners are of equal quality; to ensure a high quality result, most companies that perform CD duplication as a service will use industrial-grade equipment to duplicate the CD as well as superior quality CD media. Of course, this is not always the case, so it would be a good idea to verify the details of the process with the company of your choice. You should avoid companies that apply labels of any kind to your disc face. The labels can come loose or wrinkle over time. This is particularly annoying if one of these labels comes loose inside of your CD player, potentially resulting in either unusable players or costly repairs. Another method to avoid is water-soluble ink on the disc face. A very small amount of moisture on your fingers will cause the ink to smear, creating a mess. UV ink (UV light cured), which bonds permanently to the disc surface and does not use a label of any kind. This is the most durable process and performs well with almost any kind of art on the disc face. UV ink is great for colorful artwork, full color images that include skin tones, or single color images with full flood coverage. The ink cannot be removed from the disc face without damaging the disc itself. Dye sublimation (sometimes referred to as thermal printing), which applies a high quality image with a silicon film. It’s not quite as durable as UV ink, but it’s still a nice quality. The only real challenge to dye sublimation is the cost and time; it is expensive and slow to manufacture. CD replication is a little bit different. Replication involves physically pressing the pattern into the internal layer of the disc as the disc is manufactured. This creates a copy of the master recording. Replication is not something you can do at home. The quality of replicated CDs is generally considered better than that of duplicated CDs. However, if you were to test the sound quality of the same music written to a duplicated disc against a replicated disc, it would be very difficult to tell the difference. The turnaround time is longer for replicated discs, and the costs are higher for smaller quantities. Replication pricing starts to compare favorably to duplication pricing at quantities of 300-500 or more. Printing methods commonly used for replicated discs are a little different than those for duplicated discs. The preferred method is offset printing. Offset printing uses a printing press to print your artwork directly on the disc face, and the ink used is permanent, much like the UV ink used in the duplication process mentioned above. Offset printing is best for full color artwork and does an exceptional job with skin tones (images of people). Another method is screen printing. Screen printing is a great option if your artwork is not full color and you have no images of people in the art. For example, if you were doing a flood of black on your disc face with white letters, then screen printing would be the best choice. Screen printing does not compare favorably to offset printing for full color images, particularly images that have skin tones. 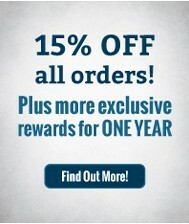 Rely on your disc manufacturing company to guide you on which process would work best for your artwork. If you are uncertain of demand and are ordering your band’s CDs in smaller batches, or if you need the order fulfilled quickly, CD duplication is probably the best option for you. The duplication process requires less turnaround time than replication. 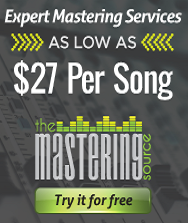 Additionally, the costs per CD are usually lower, and most manufacturers offer smaller quantities. Quite often a company that specializes in disc manufacturing can create your project for you with higher quality at a lower cost than you can do it for yourself, so shop around and ask questions about their process before deciding to do it yourself. In addition, they offer great options for packaging your discs (digipaks, wallets, sleeves, etc) that you cannot produce at home. Fans love packaging, and packaging gives you a chance to tell your story. CD duplication is growing at a very rapid pace as the process of choice for many bands because of the combined flexibility and quality it offers. In the end, the right option for your band will be determined by your band, what stage it’s at, and where it’s headed. Either way, choosing professionally replicated or duplicated CDs tells both yourself and the rest of the world that your music is worth investing in. 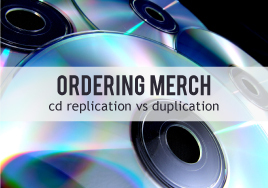 What type of CDs do you order for your band—duplicated or replicated? Why do you choose that option? See also: How Should I Price My Merchandise?, Make Money Selling Your Music, Choosing the Right Packaging for Your Band’s CD, How Many CDs Should I Purchase for a First Release?